We have recently launched some new and exciting internet marketing strategies with the added benefit of offering our practitioners more demo opportunities. You may begin getting more calls for demos from Quantum Life and with this in mind we would like to outline the following demo policies. Quantum Life recognize the effort required in giving demo's and are thankful for the opportunity to have "agents in the field" so to speak. We recognize that this is time away from your normal practice and consulting with clients so we would like to offer the following commissions. A practitioner can provide FREE demonstrations for potential purchasers. If the sale is closed the practitioner is awarded $500 USD commission. If the practitioner charges for the demo this amount will be refunded back to the purchaser (receipt required by purchaser) and the practitioner providing the demo will not receive any commission. Please note that the above statement is for leads generated by Quantum Life through our own marketing efforts. Naturally if you generate your own leads you will be eligible for the maximum commission of up to $2000 USD. For those of you that would like to try your hand at sales and earn some extra income please call Quantum Life toll free on + 1 877 711 3113 for further information. We all know in the world of sales that this can be a tricky business especially when providing demo's of The LIFE System to practitioners at expo's and events around the globe. The other challenge presented is that being The LIFE System is considered a large ticket item and the potential purchaser will need to come into contact with The LIFE System a number of times (research tells us between 5 and 7 times) before being ready to purchase. We have worked in the sales field long enough to realize the challenges and for this reason we created our www.biotechpractitioner.com So apart from all the amazingly cool and awesome features available you can also add your leads to the Quantum Life potential leads bank. If you have added your leads into your www.biotechpractitioner.com back office then these leads will remain yours. Jane a LIFE practitioner does a demo for Craig a potential LIFE Purchaser at her local expo. Jane logs onto her own personal profile with www.biotechpractitioner.com and adds Craig as a lead (here she can also activate email auto responders and request a sales packet to be sent on her behalf). Craig the potential purchaser attends yet another expo and meets Charles another LIFE System practitioner. Charles gives Craig another demo. "Houston we have a problem. Two practitioners chasing the same lead" Now typically Charles would log onto his own personal www.biotechpractitioner.com profile and add Craig as a lead. However as soon as Charles attempts this a flag appears and Charles is asked to call Quantum Life. Quantum Life then proceed to inform Charles that Craig is already working with Jane (the other LIFE System Practitioner). And… ta da…. We have solved the biggest issue in the world of sales~ crystal clear communication and avoiding a potential disaster further down the road. So in summary logon to www.biotechpractitioner.com and get your own personal profile active and at the same time protect those leads, you have worked hard for them. Get the newest training tools from Quantum Life and plant a tree at the same time! What? That's crazy…. Bob Shane Flow Charts and more…. In order to explain the latest training resource recently developed exclusively for our Quantum Life customers (yes you!) we feel we should share a part of our mission statement which has been with us for over 5 years. "…We take a proactive stance towards protecting the environment using an eco-friendly approach within our business…"
So what does this mean to us? Well we are sure you have all seen or at least heard of the movie with Al Gore called An Inconvenient Truth? Well this got Quantum Life to look at our business and again think of more creative ways to comply with our mission statement. At the same time we were looking at how we can provide our new purchasers with more training materials. Our Costa Rica DVD's were being completed. Bob Shane asked how we could make his flow charts more easily available? We began exploring ways to package our new training materials and this is when we revisited our mission statement and it dawned on us. We could continue as we have in the past and offer the complete set of DVD's comprising of over 17 DVD's and design our new "LIFE office manual" and have them available as a printed version or we could learn from the past and be true to our mission statement. We are really concerned about the environment and immediate action is required. In view of this we decided to compile all our new training materials and offer everything on electronic format. Yes we have compressed all the 17 DVD's and all our documents into one easy to install DVD. The DVD will automatically install all the movies and documents into your computer. Shortcuts will be on your desktop for an easy to find complete LIFE Training resource! Even our help modules are included in this resource CD. You can now print your intake forms or even your own brochures all from our Resource DVD while watching the entire Costa Rica symposium (December 2005). The Fruit Tree Planting Foundation's primary mission is to plant 18 billion heirloom varieties of edible fruit trees on the planet Earth and encourage their growth under organic standards (no pesticides, sprays, or fertilizers). To purchase real estate throughout the world, plant fruit trees on that land, and create sanctuaries for abandoned, abused, and vivisection-rescued animals. To encourage a raw-vegan lifestyle amongst all peoples of the Earth. To encourage every tree-paper publisher in the world to donate $1.00 or 5% of the purchase price (whichever is greater) for every book/magazine/text document they sell, towards the planting of heirloom organic fruit trees. Naturally we shall also have the printed version of The LIFE Office manual as well as the complete 17 DVD set of Costa Rica available for those that desire but we felt this should be a secondary option. So become a gardener and plant a tree…. Purchase The LIFE Saver DVD from Quantum Life for only $149 USD. Better yet refer a LIFE System sale and plant a tree! Back by popular demand… Okay we are extending The Laptop Promo for yet another month! Purchase a LIFE System in the month of October and Quantum Life will gift you our new Quantum LIFE Saver DVD to the cool value of $149 USD. Help facilitate a LIFE System sale and earn not only $2000 USD commission but Quantum Life will gift you our Training Resource DVD as well. Close 2 LIFE System sales by November 10th 2006 and Quantum Life will cover your symposium registration fees for our 2nd Annual Puerto Vallarta Symposium! 5 Sales by November 10th 2006 and we will pay your entire package including accommodation for 5 nights, all meals, taxes and gratuities and the cost of the seminar registration (excluding flights). 7 Sales and you get all of the above and we will even throw in a FREE return flight for one from any major USA airport destination to Puerto Vallarta, Mexico. Come on sales agent, let's get cracking! We are available almost 24/7 should you have any questions! Call us for help. Check out our sales manual on www.biotechpractitioner.com for some sales pointers. Also on that sales note Quantum Life is busy expanding and we are looking for existing LIFE System practitioners who would like to become more interested in the sales process for Quantum Life. If you are interested in expanding your horizons and earning some extra potential while working with a fantastic LIFE Practitioner user group then please email ryan@quantum-life.com for more info. In line with the above Quantum Life have always considered themselves on the cutting edge~ after all we chose The LIFE System. LOS ANGELES, CA, September 26, 2006-By utilizing MegaMeeting.com's browser based video & web conferencing solution, Quantum Life has added a whole new dimension to it's Sales and Training departments. Specifically, according to Ryan Williams, President of Quantum Life, MegaMeeting is being used to "demonstrate our software online which results in higher profit margin as no outside sales agents are required". Williams further explains that MegaMeeting also helps Quantum Life "provide continuous training to new customers all over the world - reducing the need for and lowering our travel expenses". 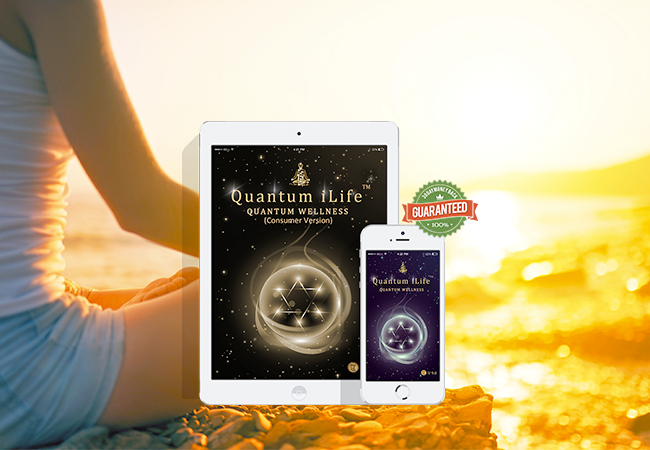 As a brief background, Quantum Life is a worldwide brokerage for the LIFE system, which assists the body's own natural defense mechanisms by encouraging energetic balance and harmony. In addition to conducting product sales and demonstrations to prospective clients and providing continuous support and training for customers, Quantum Life is also using MegaMeeting's web and video conferencing services to conduct internal company meetings, as well as sales meetings. The specific features of MegaMeeting that Quantum Life implements most often are the video conferencing capabilities that allow meeting attendees to see each other, the ability to share a PowerPoint presentation via the Internet, as well as screen sharing capabilities. One of the main reasons Quantum Life chose MegaMeeting over other web and video conferencing systems was due to its ability to handle video and the fact that it is flash based, allowing attendees into meetings without having to first download any software. If you have never experienced a Webinar, it is a fun and easy way to attend a class. The various L.I.F.E. System screens are shown and explained. All you need is a high speed internet access and a telephone nearby. Quantum Life is offering 2 free hours of support per week. One hour at 10:00 am Tuesdays and one hour at 6:00 p.m. Thursdays. This is an especially good place to start your L.I.F.E. System training. April can help answer basic questions of navigation and where to find various items. If you have any questions, please address them to "Dear April" at apsil@SubtleEnergyLLC.com. Your questions will be answered in upcoming newsletters and emailed back to you. Question: I am new to the L.I.F.E. System. Where do you suggest I start? Answer: Chris Simon, Living Information's Number One teacher suggested to me, when I first started, to go to the "Susceptibility Index" and use the six programs which are shown on the "Susceptibility Index" panel. She said these six programs are very powerful. I suggest you try these programs and then review the other panels on the Program Index to become familiar with navigating through the menus. If the specific panel has a Test Potential button, the program picks the top 3 items for you. Red is highest, yellow is second, blue is third and green is lowest indicator. Chris also said that the top items are usually the acute energies and the lower could be the chronic energy imbalance. Dr. Thornton Streeter: Where Science meets Spirit. See how The LIFE System affects the human biofield. Michael Dangerfield: What the bleep @#$%^& do we know about Metaspace and how do we explain it! Too many of you have asked for an explanation on this hot topic! Dr. Sherry Greenberg: Emotional profiling & nutrition: The notch above! Also including live case studies. Chris Keser and Mike Slivinski: The Latest LIFE Developments and the future! Gayla Erickson CBT: From zero to hero. Marketing your practice! Helene Silver: Rejuvenation, detox and practice building also including a bonus of how to get returning clients! Mitchell Rabin: The Harmonic Balancing Program. How to integrate THE HBP into your practice. The therapeutic and economic value! Have you booked yet? Everyone else has! The rooms are filling fast. Check out our speakers! They are awesome! However Xoçai™ chocolate combines unprocessed cacao, açai berries, blueberries and concord grapes into simply the best chocolate possible! We have tasted it and it is simply awesome! It comes as a liquid drink or you can purchase the actual chocolates~ they are both yummy... and healthy! David Wolfe the Raw Food Guru says that raw cacao is the healthiest food on the planet right now! Well this chocolate is made with raw unprocessed cacao! Can you imagine! Quantum Life has decided to fully endorse this product line and we extend a warm invitation to join us! The chocolate is awesome, why not buy some and taste.... just make sure your kids are not around! Call Ryan Williams on 1 805 962 7614 if you have any questions!